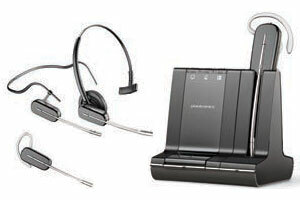 Plantronics legendary CS family is setting a new wireless standard for desk phone communication with the CS500TM Series. The new system features a convertible headset, streamlined design and improved performance all with the same renowned reliability. Electronic Hook Switch* allows you to answer and hang up calls from your headset. 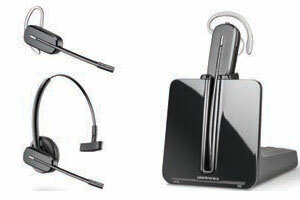 With multi-device connectivity and a newly designed convertible headset now you can easily manage PC, mobile and desk phone calls with one intelligent wireless headset system.